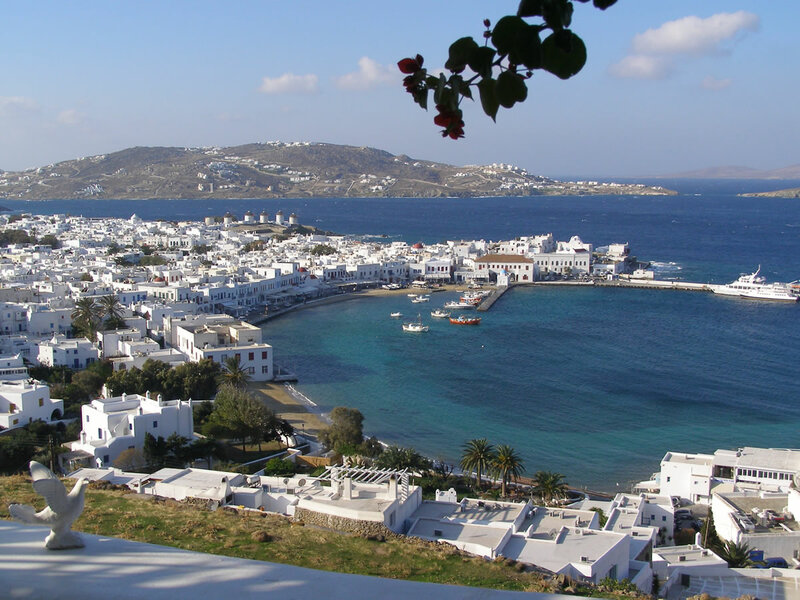 THERE'S little likelihood of going hungry on the idyllic little Greek Island of Mykonos whose main town, simply called Mykonos Town, has a waterfront that's a clutter of cheek-by-jowl restaurants, tavernas, bakeries and bars offering food and drink of a variety that leaves most of its million visitors a year agog. 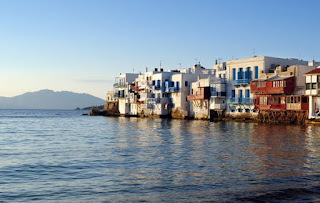 And behind which lays a maze of cobblestoned streets crammed with tourists, locals, boutiques, fruit and vegetable stores, galleries, souvenir shops – and, yes, scores more restaurants, tavernas, bakeries and bars. 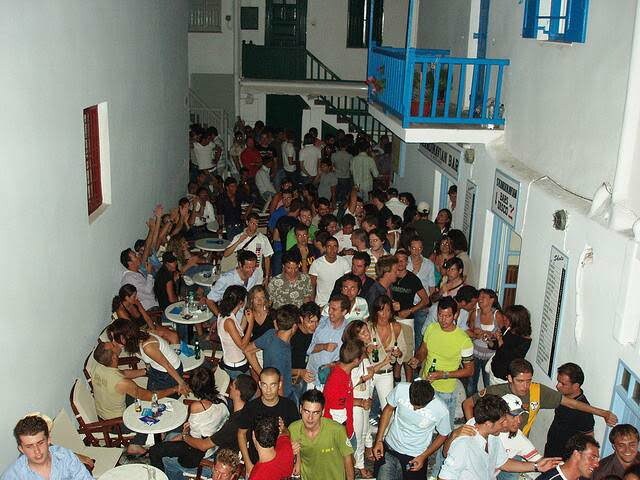 But we are here amid these seemingly countless eateries to seek out just one very specific place, in doing so fast realising how the folk of early Mykonos concerned themselves little with such trivialities as town planning. Unfortunately on arrival at the end of the street, we find that our one narrow alley now branches out into two or possibly three further little passageways like the fingers of a contorted hand in a roughly "right" or "left" direction. So we have to consider just which may be the "right right" or the "right left." We persevere by asking more questions, and retracing our steps more than once, to eventually find ourselves at the doorway to what we are seeking: the tiny La Maison de Catherine, or as it is more simply known and identified with a sign above its pavement tables, Katrin Restaurant. For it is here we want to learn if the menu still features any of the favourites of its two most famous regular guests – Greek shipping magnate Aristotle Onassis, and the lady he was wooing in the 1960s and was to marry, Jackie Kennedy, widow of slain American President JFK. Did the restaurant, we wonder, still have Jackie's favourite starters of baby squid stuffed with rice and Greek mountain spices? Or the garlic mushrooms? Or a soufflé unusually filled with cheese, prawns and squid? Or for mains the speciality in those days of lamb leg with home-made mint sauce (served piled high on large wooden family-size trays when Ari and Jackie had guests,) or in season, lobster with pasta served in such proportions the couple would share one serving between them… and finish most nights with the signature house-made apple tartine with Calvados cream. Yes, the menu that's a somehow mix of Greek and French cuisines, does still feature all. But while the kitchen is a-buzz and wait staff are busily prettying the place with fresh-cut flowers, sorry, they're unable to allow us even a sample taste before officially opening for dinner in two hours' time. 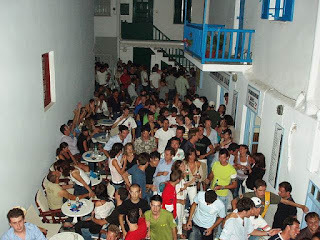 So sadly, with our cruise ship to Santorini awaiting, we step out from this quite small (for one so famous) eatery with its traditional Cycladic arches and whitewashed walls, and into the confusion of alleyways once more. But we do promise the friendly staff we will return some day, and will dine at the window-side corner table that was kept vacant for Jackie and Ari every night – no matter how busy the place was – in the event they should simply drop in. 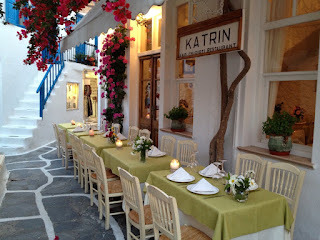 If you're visiting Mykonos do seek out Katrin Restaurant in Ayios Gerasimos Street – it's not cheap, but certainly we're assured, well worth it. 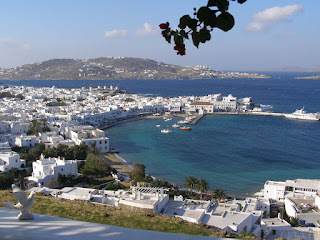 And allow time also to explore Mykonos' colourful Little Venice, a harbour headland of the most picturesque 16th and 17th century whitewashed and painted houses whose balconies jut out over the waters, so that in days or yore, boats could unload direct into the homes of the traders who lived and worked along here. 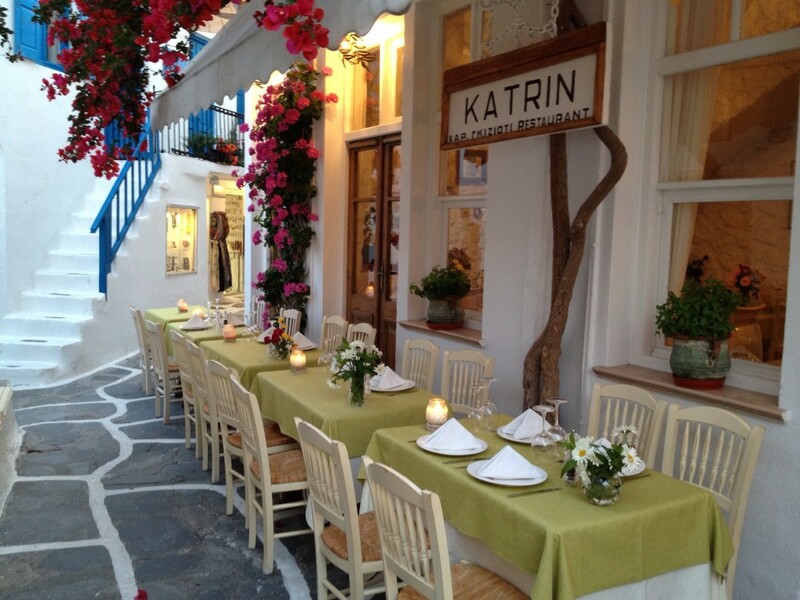 KATRINS Restaurant, tiny as it is has one of the finest reputations in town. 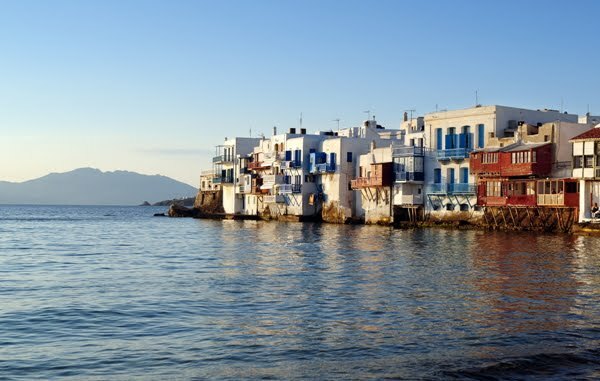 LITTLE Venice's home-businesses were once a landfall of pirates, now its tourists.